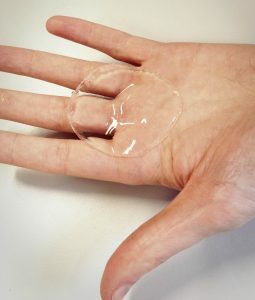 Prof Khutoryanskiy’s team has developed a new type of hydrogel wound dressings by simple autoclaving mixtures of two polymers in water. 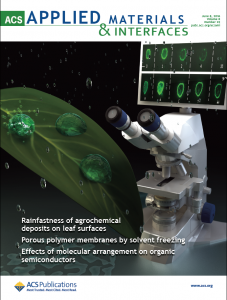 The hydrogels developed in their work, recently published in RSC Advances http://pubs.rsc.org/en/content/articlehtml/2016/ra/c6ra08234c (open access), have a unique combination of properties such as excellent swelling ability, good mechanical strength, adhesiveness to skin, as well as intrinsic antimicrobial activity. Dr Darius Widera from the Pharmacy research division has a publication in press at Clinical Science. Read more about this and another paper that the Widera group has accepted in the journal Photonics on the Widera lab website. 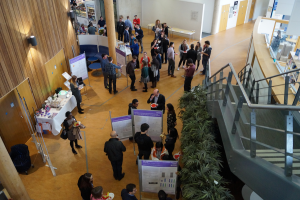 Last Thursday we held the annual School of Pharmacy PhD showcase event at Henley Business School here on the Whiteknights campus. An excellent day, with some fascinating research talks and a truly inspiring range of research projects from understanding chocolate to developing new drugs for human diseases. 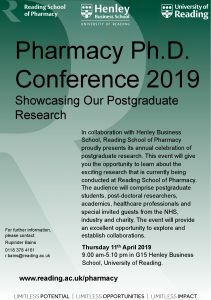 © 2019 Pharmacy Research @ UoR.